We are delighted to finally be able to share with you the magnificent new album from thrash kings, Solitary. The Diseased Heart Of Society is a powerhouse thrash metal record that combines experience, maturity, musical skill, re-ignited passion and sheer bloody rage at a world gone wrong. The ten tracks that make up this incredible album represent a new pinnacle for Solitary’s career, challenging the very best that the genre has to offer in the process and provide the perfect soundtrack to the dark times we live in. 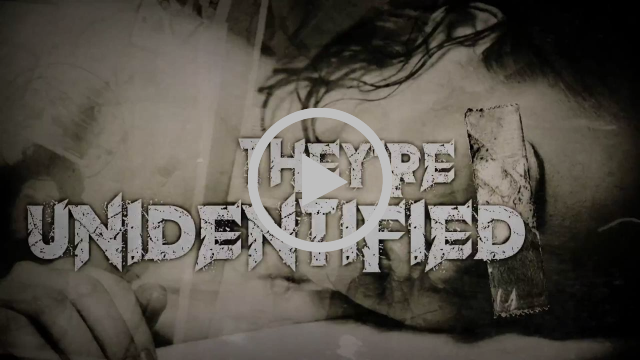 Single, ‘Unidentified’ has already screamed out a warning of what to expect from this furious sonic assault, but there is so much more to discover within The Diseased Heart Of Society. From the unforgettable, epic power of ‘Anthem Of Regret’, the machine gun slaughter of ‘Trigger Point Atrocity’, the seething anger of ‘The Edge Of Violence’ to the breathtaking climax of ‘Humanity’s Decline’ this album is an adrenaline infused, white knuckle ride through the darkness – a bullet train into the black, with no return ticket. The magic touch of renowned producer Simon Efemey (Amorphis, Paradise Lost, Napalm Death etc) has given the album a ferocious bite and artist Andy Pilkington (Flotsam And Jetsam etc) has created the perfect harrowing sleeve to house the anger infused beast. Thrash metal simply doesn’t get much better than this. To celebrate the release of The Diseased Heart Of Society Solitary will be playing at the already sold out Hammerfest, 23rd – 26th of March and joining forces with Acid Reign and Shrapnel for a thrash spectacular in London, at the Camden Underworld on April 8th. Prior to that they will; be venturing to Glasgow for a headline show at the 13th Note and European dates and further festival appearances will be announced soon. In other band news Solitary have sadly had to part company with bassist Dave Cunningham due to health issues. I’m sure you’ll all join us in wishing Dave well and welcoming his replacement Pete Hewitt (Winterfire).